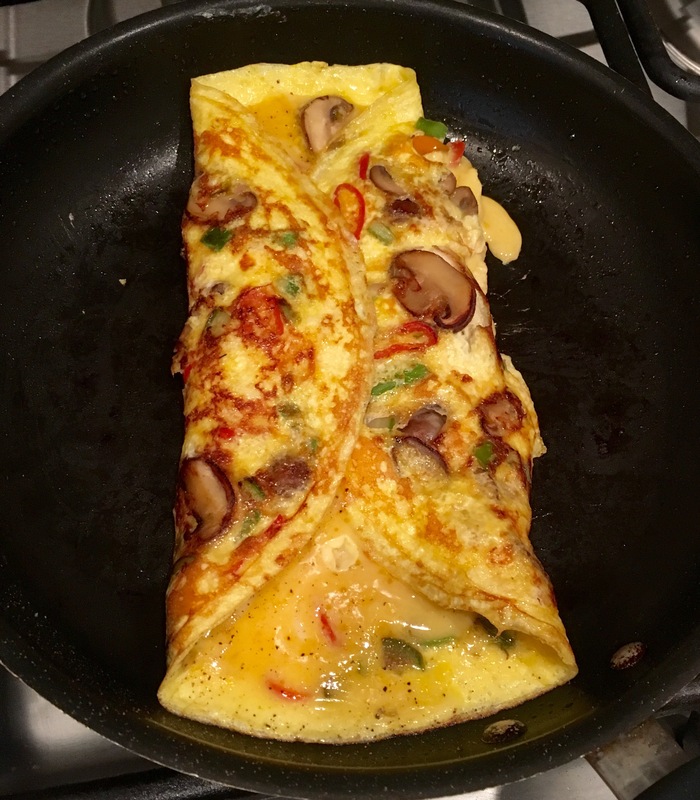 Lose an hour, gain an omelette – Eat, Drink, and Go! I don’t like setting the clocks ahead because it’s so sad to lose an hour of your precious weekend. But I get why they don’t do it during the week – that pesky little thing called work. It’s a dreary Sunday here on the east coast, but a perfect morning to make a veggie omelette. 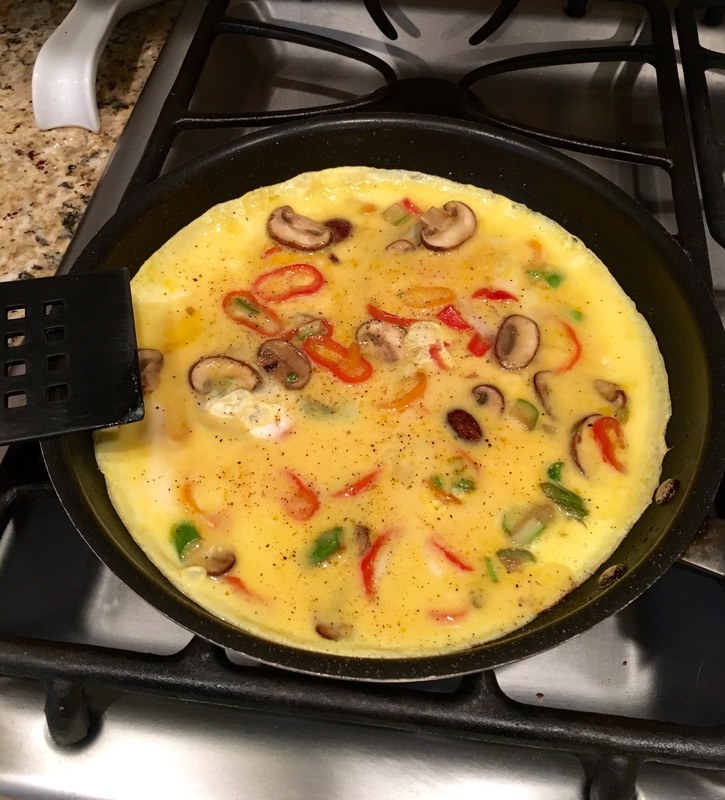 I’m not a big egg fan, generally speaking, but I love making omlettes – the slicing, dicing, and sautéing of the fixins!! 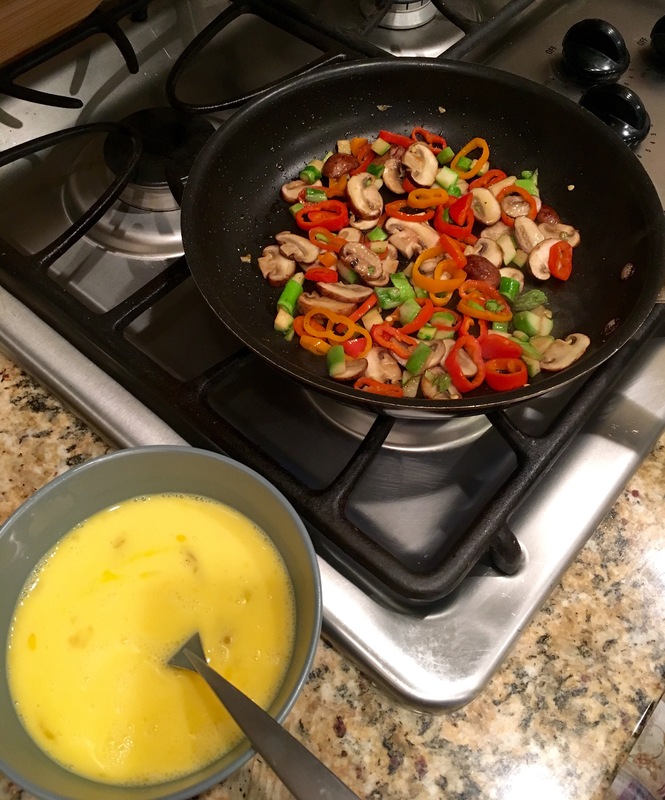 I lightly sautéed baby Bella mushrooms, asparagus, and baby bell peppers in truffle oil. Whisked up the eggs with a little milk, and let the eggs and veg meet in a gentle pour over. And the big challenge – the flip. LOVE EVERYTHING ABOUT YOUR SITE, J! WAS JUST GETTING LOST IN THE PICS, FOOD, AND YOUR THOUGHTS.